Zimmerman, as the architect of record of a design team which collaborated with the Zilli family, provided a design for this stunning new restaurant located in the pavilion at O’Donnell Park. A bank of windows along the eastern face allows patrons breathtaking views of Lake Michigan and the new Milwaukee Art Museum, designed by Santiago Calatrava. The modern design of the restaurant’s interior presents a warm, visually interesting space. 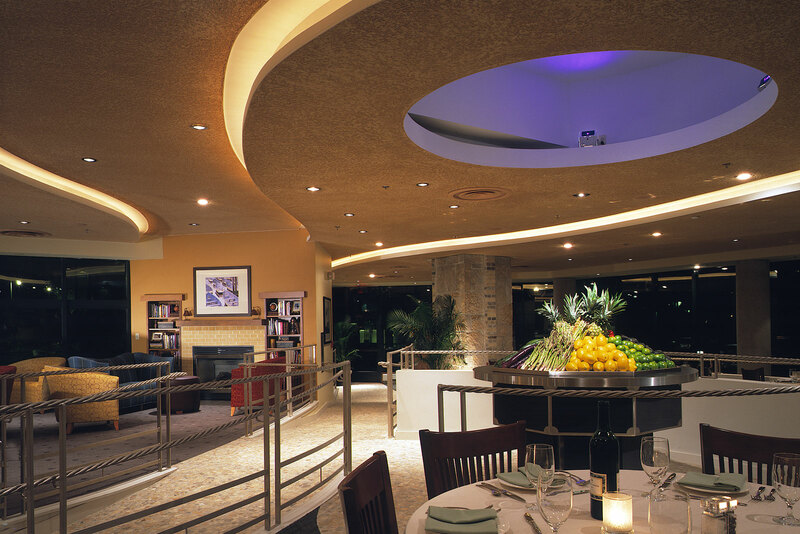 Interior lighting was designed to be indirect, and is reflected throughout the many facets of the restaurants ceiling. The space includes a bar area, main dining room and three private spaces.